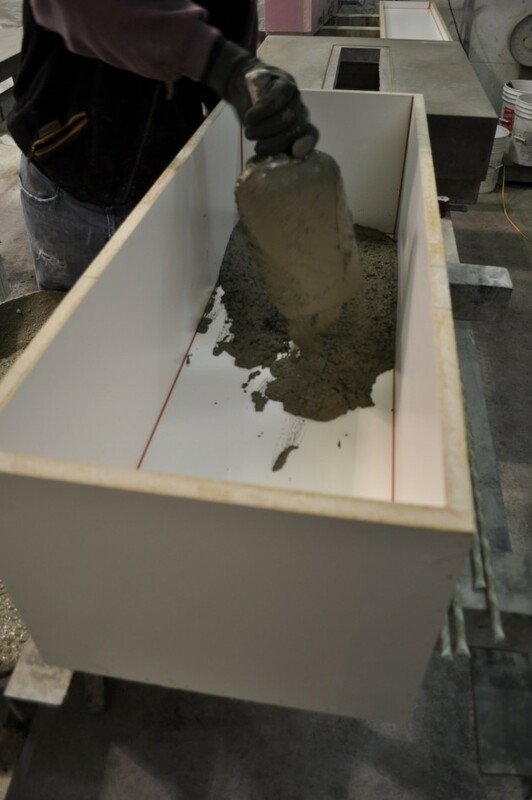 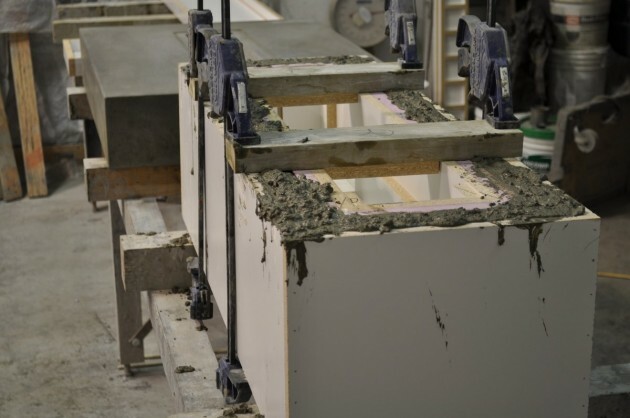 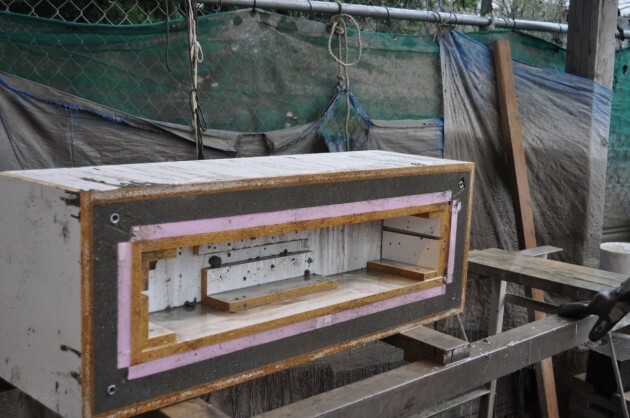 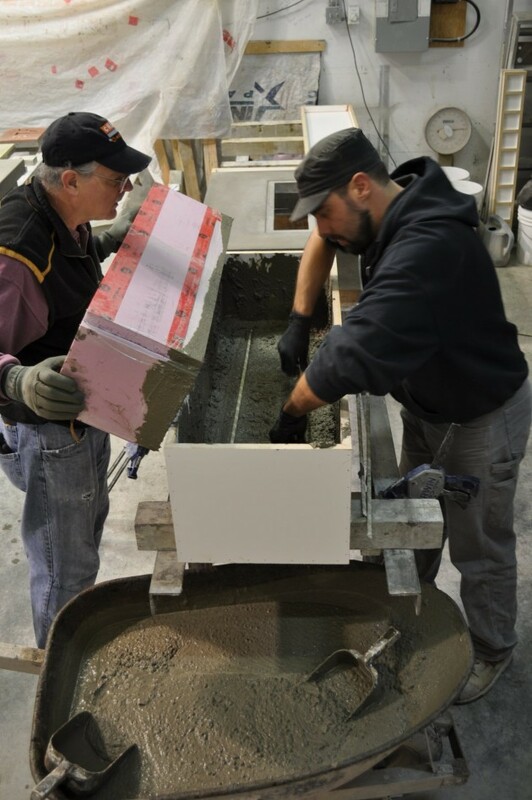 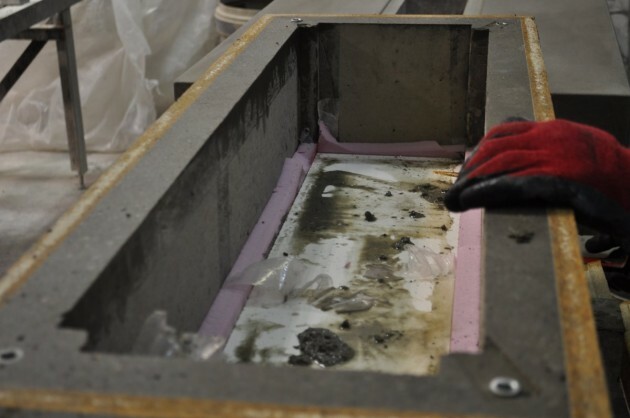 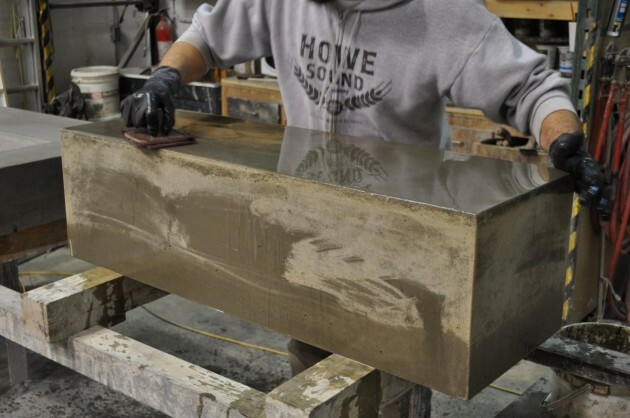 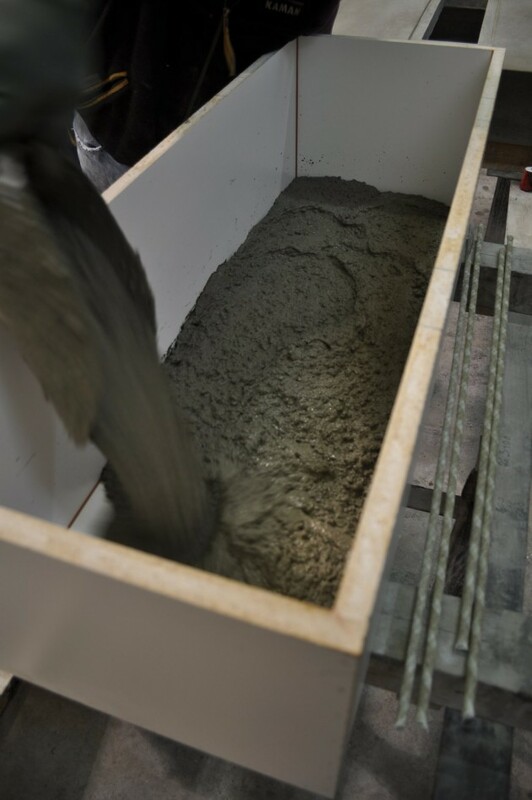 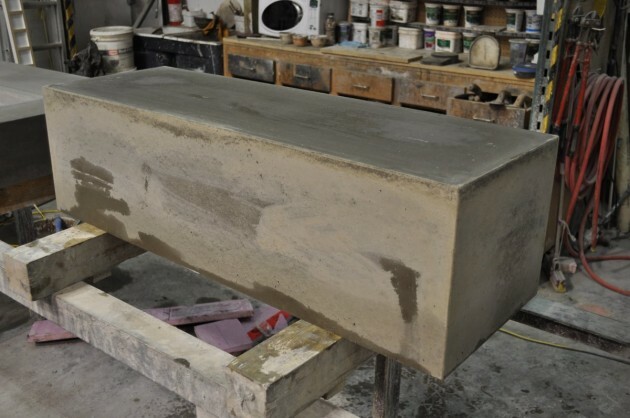 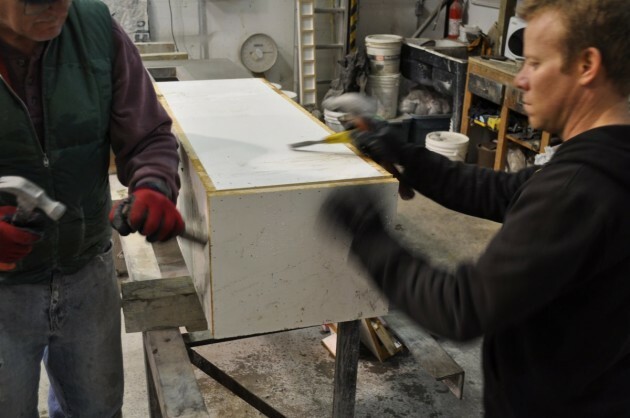 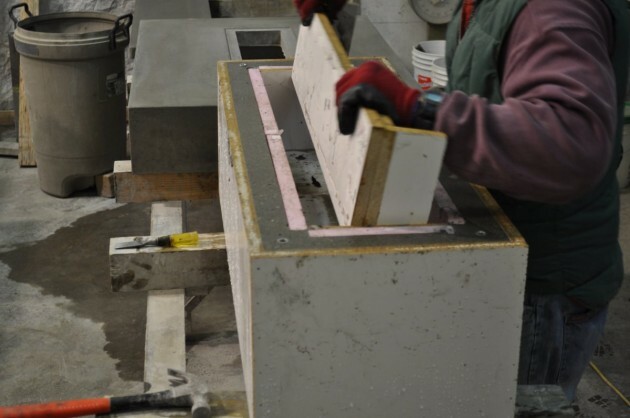 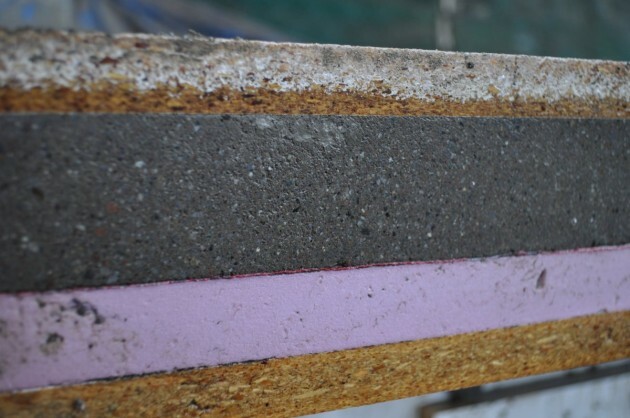 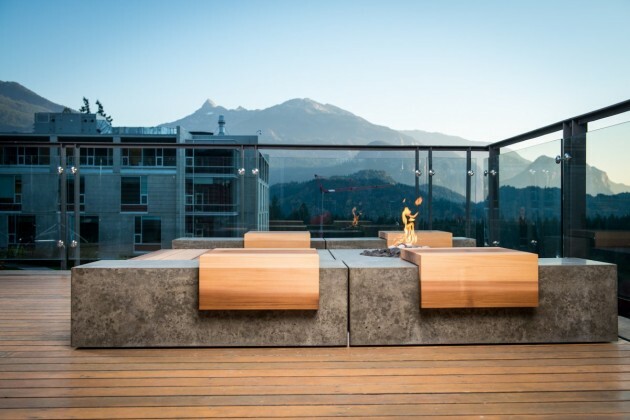 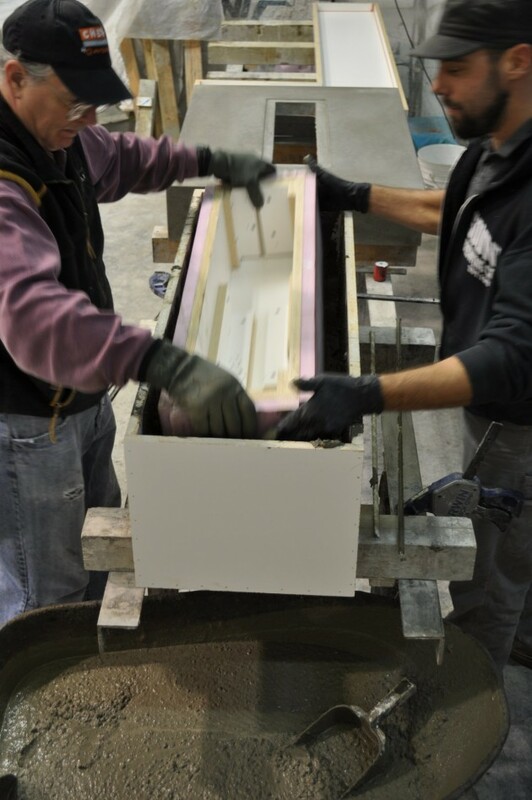 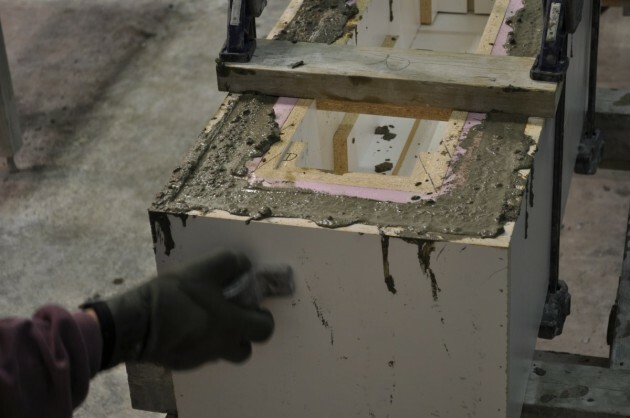 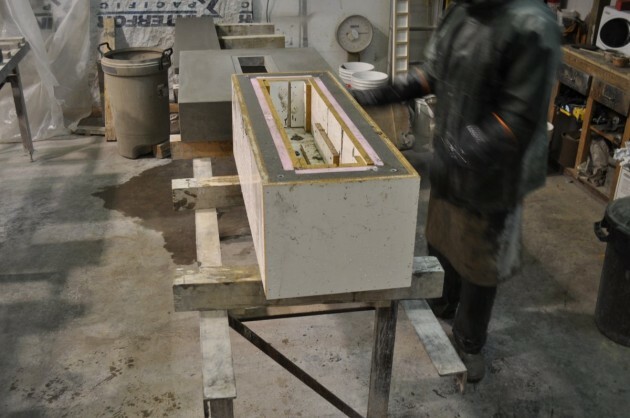 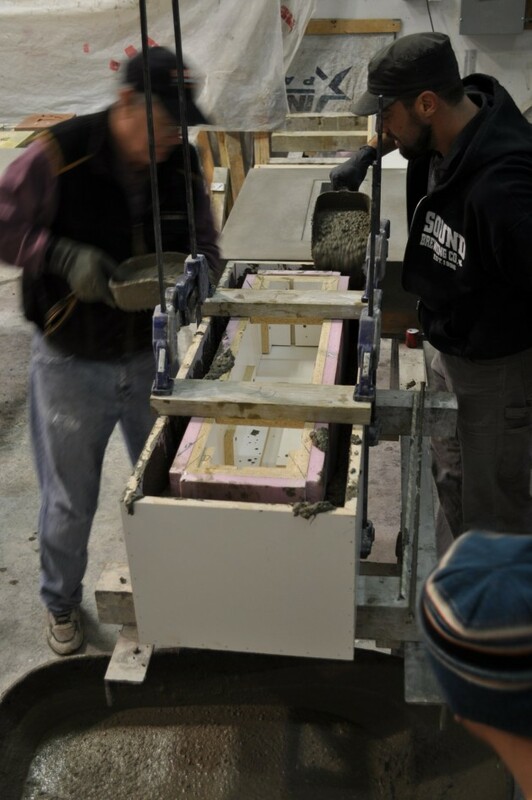 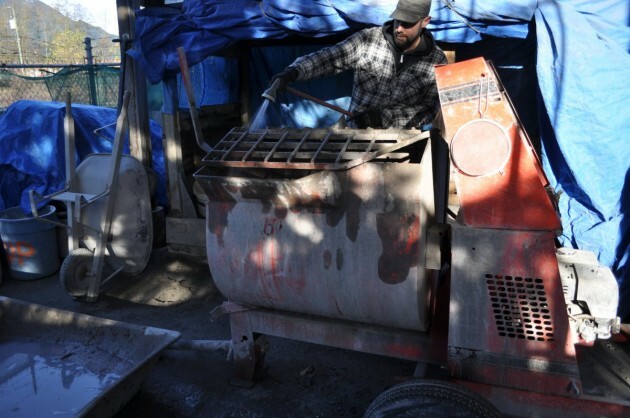 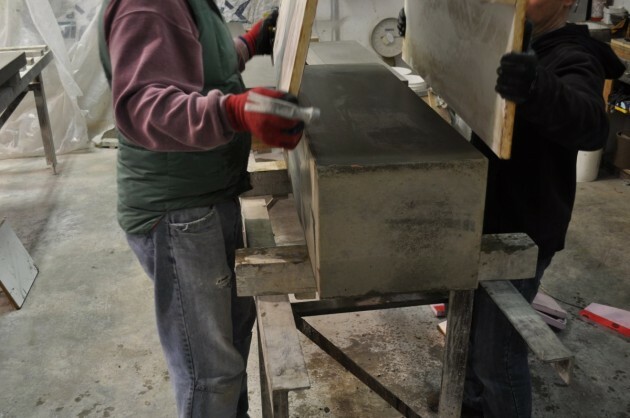 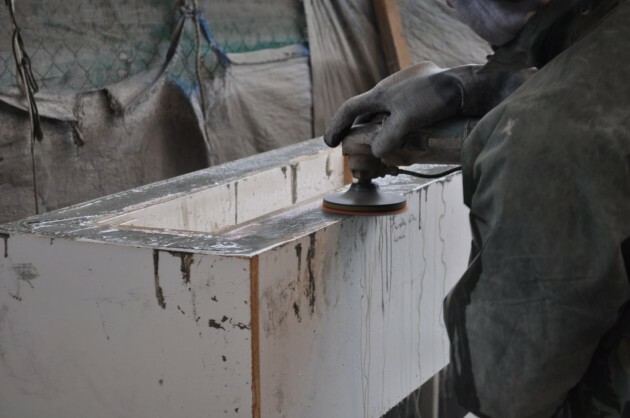 Sticks and Stones, a fabricator of concrete furniture, located in British Columbia, Canada, have shared with us their process of making one of their concrete benches. 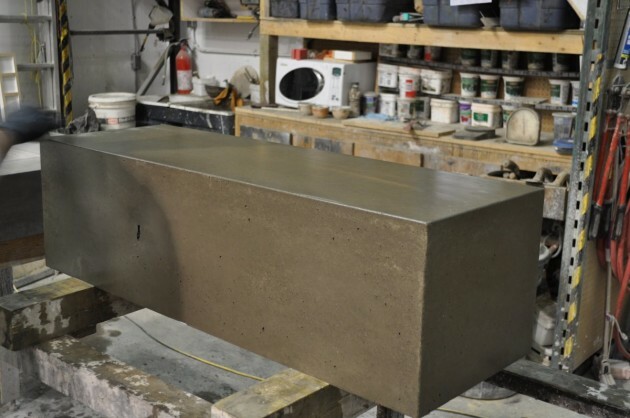 The concrete benches are part of their Social Series that includes a fire table. 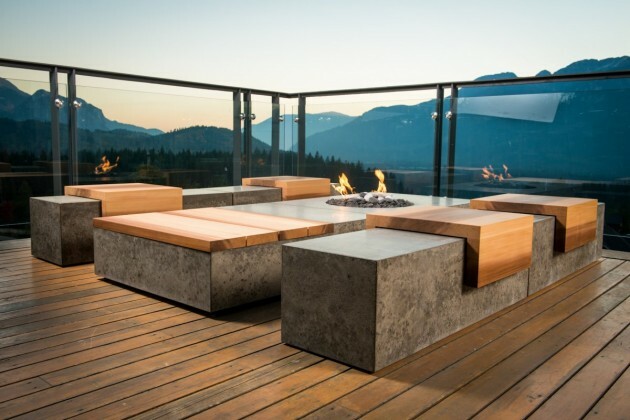 The inspiration for the Social Series comes from sitting around campfires with friends or family that lends itself to great conversation. 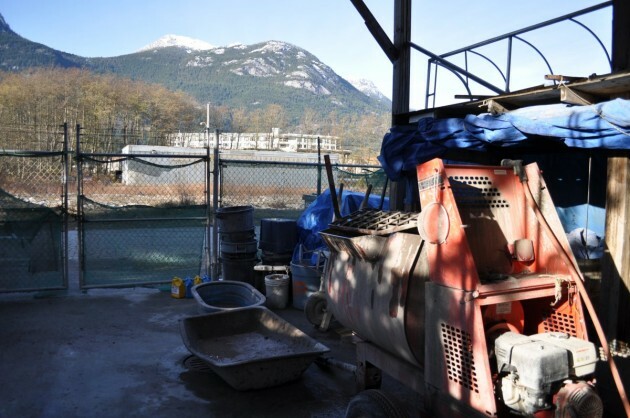 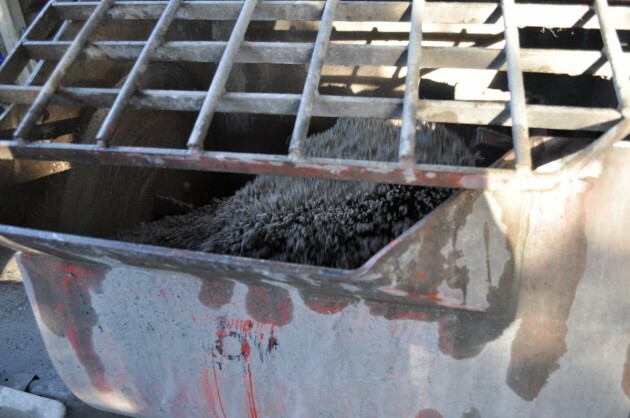 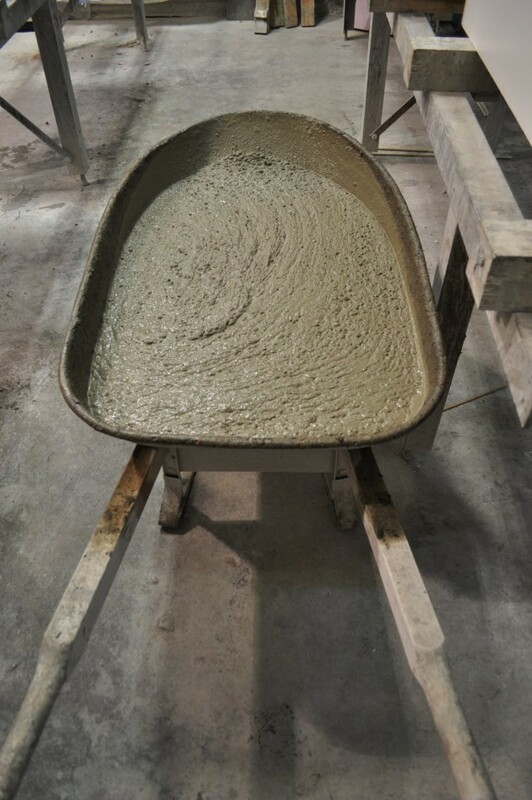 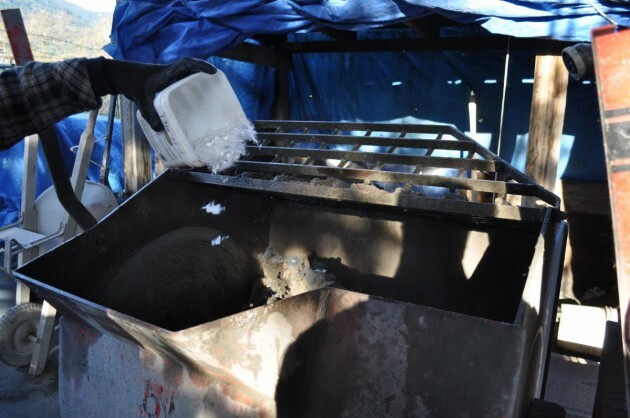 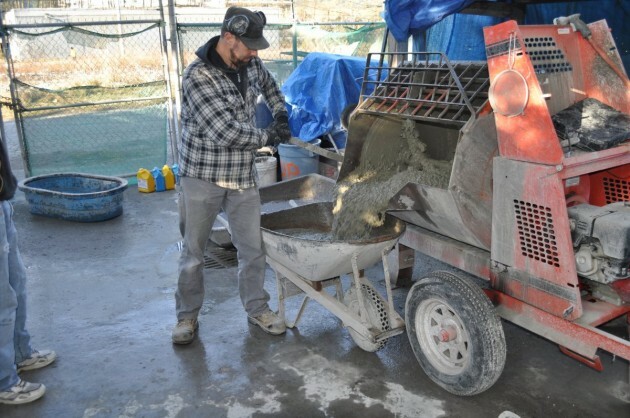 The concrete mixer for mixing the concrete. 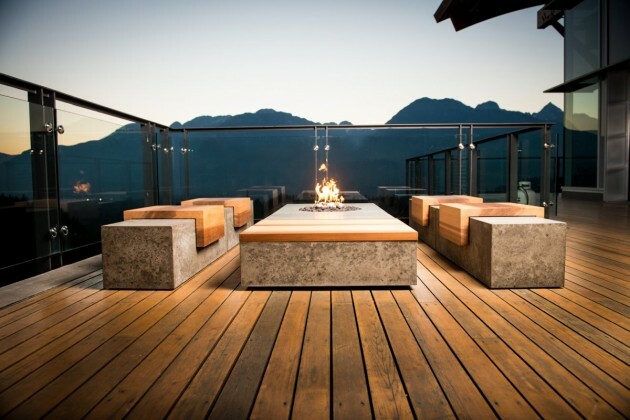 Visit the Sticks and Stones website – here.